Have you ever tried growing your Pineapple tops? I remember doing at as a kid and we have quite a few growing around our garden. 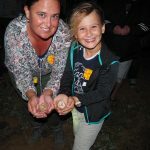 I recently found some mini terracotta pots at our local garden centre for $1.50 each and thought decorating them could make a FUN school holiday project. My daughter chose two designs, a pineapple (of course) and another sparkly gold one. I love them both! 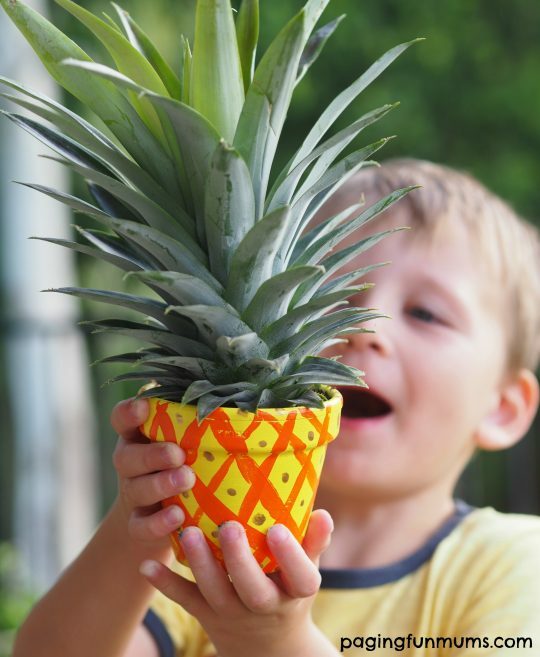 The best part is that Pineapple plants are SUPER easy to grow – especially in pots! Find heaps of Pineapple growing tips here. We used yellow, orange and gold paint for the Pineapple design and then gold, white and glitter on the second pot. Once you’re happy with your design you can spray some sealer on to preserve it, fill with soil and simply place your Pineapple in the top! You might also love this Strawberry Thumbprint Pot or this amazing bug keepsake pot here. 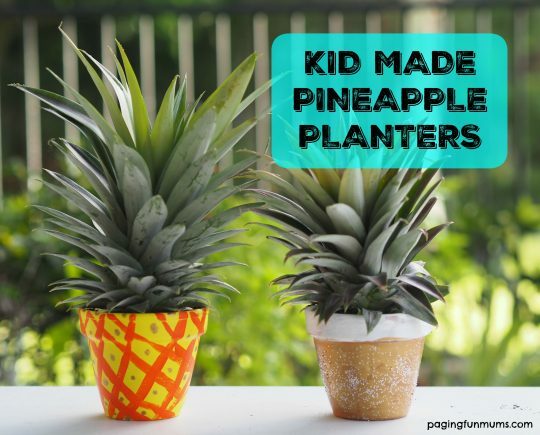 We hope you enjoy this simple art project and have some fun growing your own Pineapple plants at home.